Since 1830, the pure, soft spring water known as Kanzui (Water of the Gods), has been used in all of our brewing processes. We start by carefully selecting rice grown only in rich, natural environments, which is then meticulously polished to suit the flavor of the specific Sake we wish to create. 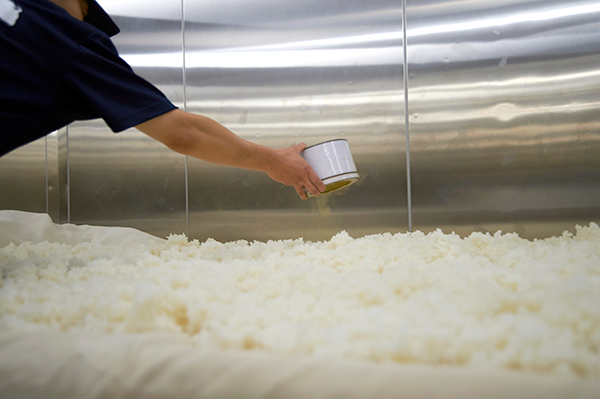 From the start of the rice selection process to the time the finished product is shipped, it takes more than three months to create our characteristic brand of Sake. We wash the rice bran and soak up carefully and suitably. 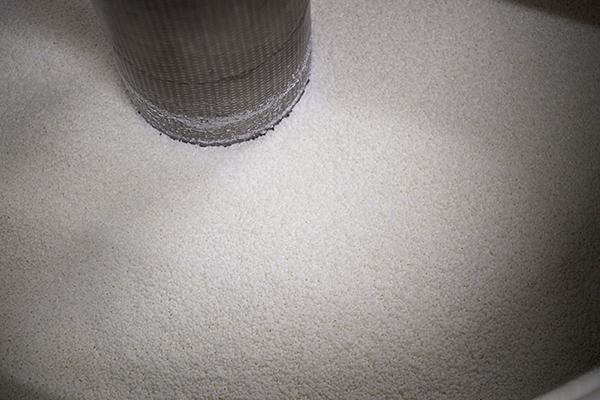 The limited water absorption is one of the significant processes to set the quality of the steamed rice. We check the water absorption ratio carefully by using automatic washing and soaking system. 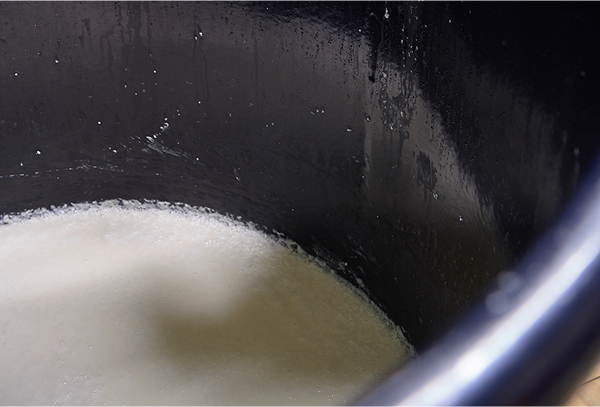 We steam the polished and steamed rice in order to make starch will be easily decomposed by koji enzymes. 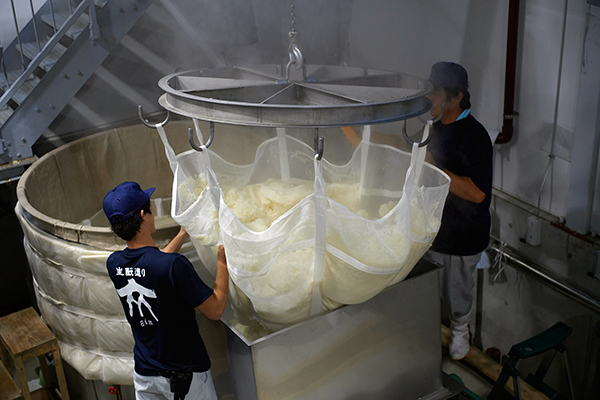 “Ichi-koji, Ni-moto (starter), San-tsukuri (mash).”, brewers say. 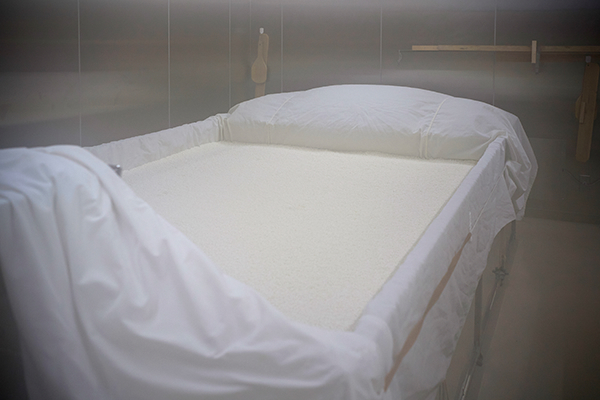 This means the koji is vitally important in sake brewing process. Koji is the aspergillaus oryzae fungus (koji-kin). 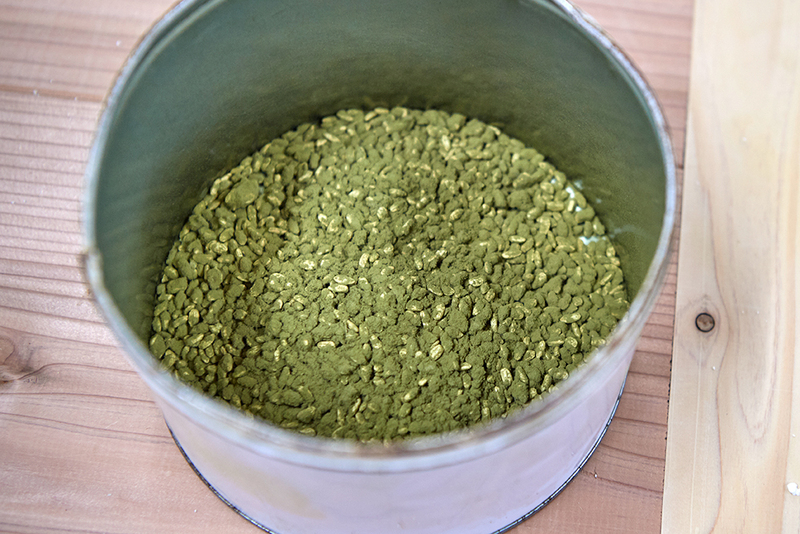 We sprinkle the spores of koji (tane-koji) with the steamed rice to make the rice koji. The rice koji is added to the yeast starter and the moromi mash to help convert the rice starch into glucose. 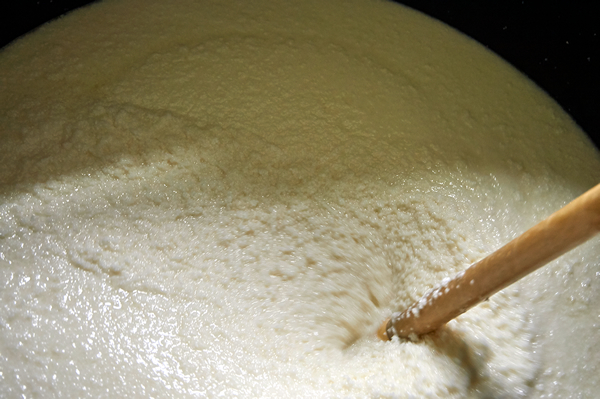 Shubo is the yeast starter, which means “the Mother of Sake”. From 2014 we have been working on a Kimoto and a Yamahai methods. They usually take twice time compared to the quick fermentation method “Sokujo” and produce a rich sake with good acidity. They are the traditional methods that utilize naturally occurring lactic acid bacteria. These methods are labor-intensive; time consuming; and require more patience than modern methods to produce a rich, full-bodied sake. About 400 years ago, Kimoto method was popular in Japan. Then Yamahai-moto was developed in 1909, Meiji period. This means the sake making process without Yamaoroshi (The grinding process of starter culture). Our brewery has been challenging the Kimoto and Yamahai method from 2014. Our fermentation process is divided into three steps. 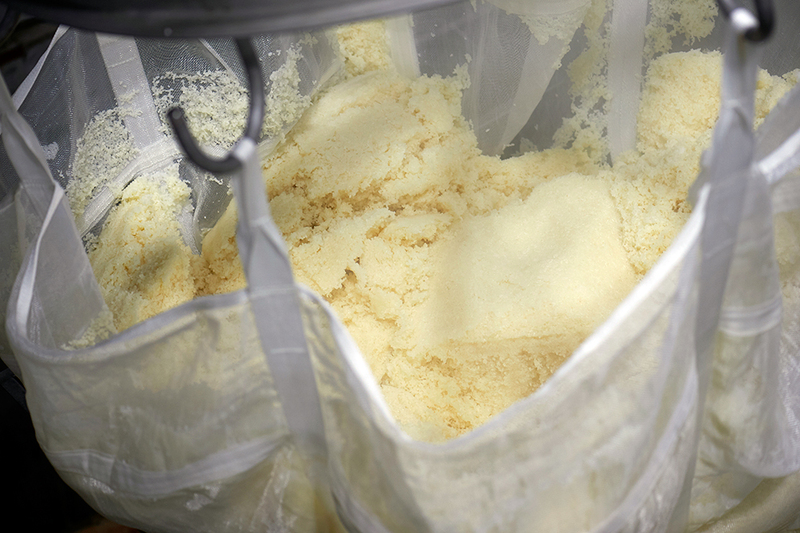 In each step we put koji, steamed rice, and water into the yeast starter (Shubo). On the first step is called “Hatsu-zoe”, the second is “Naka-zoe” and the third is “Tome-zoe”. Converting the starch into glucose and creating alcohol by the yeast are occurred in a same tank. It is known as “multiple parallel fermentation”. With this process, Japanese sake has the highest percentage of alcohol (17-20%) in all fermented beverages in the world. After 20-30 days from fermentation process, we check carefully the condition of the moromi.（Sake mash）One method of pressing is called “Assaku” with a pressing machine, the other is called “Fukuro-tsuri”. In this method, Moromi is poured into cloth bags, which are then strung up over a tank. The filtration is carried out to eliminate unnecessary materials, and to give as clear the sake as possible. 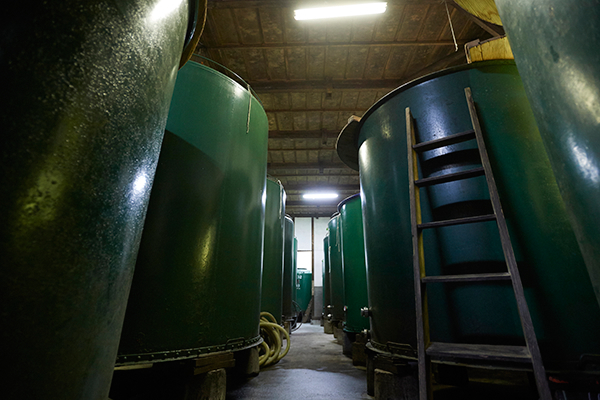 We use the low temperature(60-65℃) heat method to keep the quality of sake efficiently. We keep the sake in tanks until bottling. Those tanks are in the special storage room in our brewery. 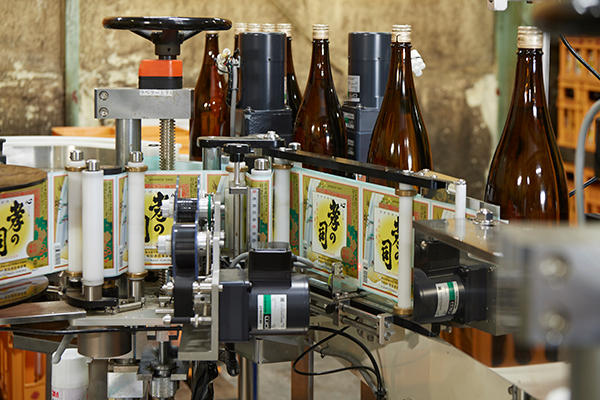 We bottle the sake carefully after adjusting the flavor of sake by blending, water adding, second filtering and so on. 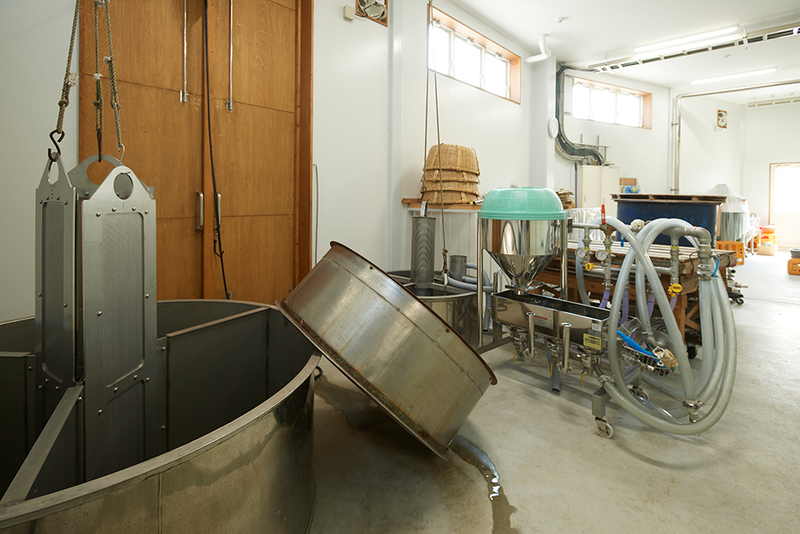 To keep the quality of the specific Sake, second Pasteurization is carried out. Very fresh sake called “nama-zake” is without pasteurization. “Nama-tsume” is just one pasteurization before keeping it in a tank. “Nama-chozo” is also one pasteurization, but it’s heated after bottling. 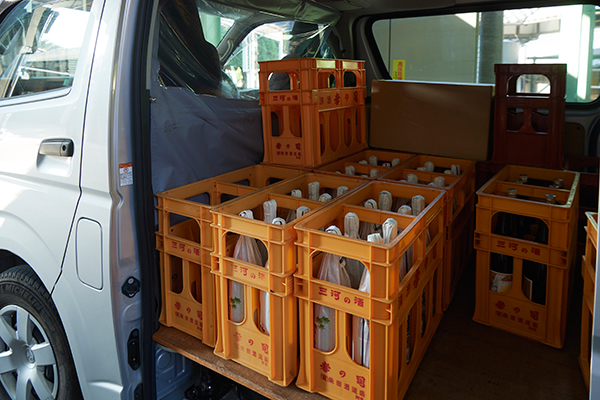 We bring our sake not only to the local area, but also to overseas such as Australia, China, and Taiwan. We have been making efforts for the succession of our traditions and always seek to produce the highest quality product. At the same time, we try to create new flavor of sake along the trends of the times.